Originally owned and operated as Allied Equipment Rentals, We Rent It in Bryan, TX began when then-owner Charles Mancuso acquired the Allied Equipment Rentals location in 2001. For 9 years, We Rent It operated under the management of Allen Housley until it was acquired by Cobra Equipment Rentals in 2010. The We Rent It name, Housley, and the entire family of We Rent It employees were retained. Since then, We Rent It has continued to grow currently serving the Bastrop, Buda, Schertz, and Pleasanton areas and most recently, Georgetown. 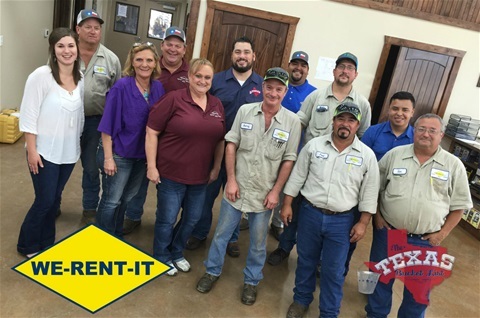 In Bryan, We Rent It’s local leadership comes from the branch manager, Brent Stringfellow and general manager, Allen Housley. Our Bryan location serves as one of the We Rent It Super Centers, offering a large equipment rental fleet and several brands of contractor supplies. As We Rent It continues to grow and change, their priority stays the same; We Rent It strives to provide their customers with quality construction rental equipment and exceptional service. If you need any additional information, please contact me via phone or email.